I don't think it works very well to tell our students to be ethical. We have to show them what ethical looks like. One headline announced the discovering of a new human micro-organ. 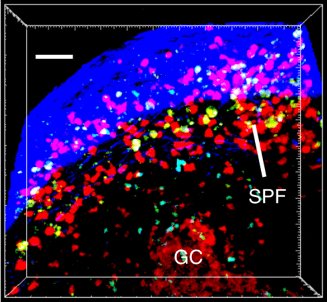 It turns out, researchers have found a distinct structure just beneath the capsule of lymph nodes called the subscapsular proliferative focus (SPF) where memory B cells hang out—not deep in the germinal center (GC). This puts them in a good position to be activated by macrophages acting as antigen-presenting cells (APCs) and mount a strong secondary immune response. Sign up for a free email subscription to Kevin's daily headlines curated especially for A&P teachers. 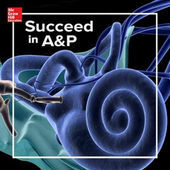 The A&P Professor podcast received a couple of mentions in Jim Connely's podcast Succeed in A&P. Check out the August 31 episode, featuring Krista Rompolski! Greg Crowther, whose song was featured in episode 25, calls in with an important point about modeling professional integrity for students: we should always cite the work of others. Whether we are using material legally is a separate issue. If we tell students they are plagiarizing if they don't cite others' works, then we are hypocrites if we don't model that behavior ourselves. Kevin mentions some other benefits of consistently citing the work we use in our courses. 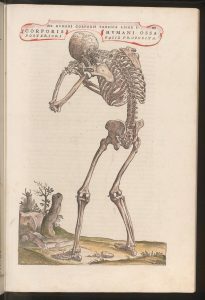 The A&P Professor is Kevin Patton's blog for A&P students. You can link to the blog, or to any specific post within the blog, from your course materials (syllabus, course page, learning management system, emails/messages to students). Kevin (mostly Jenny, his wife) sends out bookmarks you can distribute to your students. This wacky bookmark has an anatomical illustration of eyeballs in their orbits on the obverse and information (including URL) about the blog on the reverse. If you mention that you are a podcast listener, you'll also get the almost coveted The A&P Professor label pin (authorized for use on your academic attire).